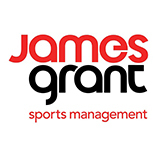 DB became a consultant for James Grant Sports, James Grant Group - the leading providers of Management and Professional Services to clients in the Sports Industry. Founding partner of Catalan Elite Academy. Nominated for Outstanding New Business award by Irish Firms Association. • Official partnership bringing Tecnifutbol Coaching clinics to Ireland. • Began Munich Team Tours. Became Ireland’s exclusive provider of team tours to Futbol Salou and Cambrils Park. David Berber obtained a FIFA Match Agents license, one of only 3 in the Republic of Ireland. Partnership with Portuguese club SC Braga as Team Tour destination also includes Ireland’s first Braga Coaching Clinic later in the year. Inaugural DB Sports Tours Manchester Easter Cup (Irish schoolboy clubs travel to UK to face professional academy counterparts. David Berber obtained a FIFA Licensed Player Agents license. Inaugural Coca Cola Cup - A summer tournament involving Irish schoolboys sides and professional academy outfits such as Ajax, West Bromwich Albion and Reading FC. Organized and ran the Manchester United legends V Liverpool legends Golf Classic in aid of Dyspraxia Ireland at the Ryder cup golf course at the K-Club Co.Kildare. The event saw the famous European Cup winners Ronnie Whelan, Phil Neal plus many other Liverpool legends battle it out against United hero’s to raise much needed funds to bring 35 kids with Dyspraxia, Autism and Down Syndrome over to train with the Manchester United foundation. Inaugural DB Sports Tours Champions Cup (SFAI Cup winners face NIBFA Cup winners for first time officially) breaking cross boarder barriers between the North and South of Ireland. Entered partnership with sports management agency, Sport IFM to help grow their soccer section. 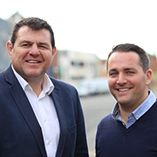 Sport ISM the parent company is one of the worlds leading golf agents for at the time Rory McIlroy, Darren Clarke and Lee Westwood. The league winning the SFAI Kennedy Cup for the fist time in over 20 years follows soon after North Dublin Schoolboy League representative side’s groundbreaking trip to Manchester with DB Sports Tours. Barcelona Coaching Clinic at Carton House brought renowned La Masia veteran coach Albert Benaiges who was the head youth team coach of Xavi, Iniesta, Messi and Puyol to name but a few. 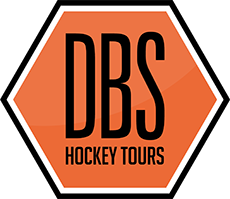 DB Sports Tours opens for business, with exclusive team tours to Manchester City and Manchester United. 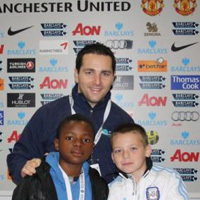 David Berber quits his job as a chartered accountant with Ernst & Young the second biggest accountancy firm in the world to pursue his dream, helping youth soccer players fulfill their full potential by touring some of the biggest clubs in Europe.